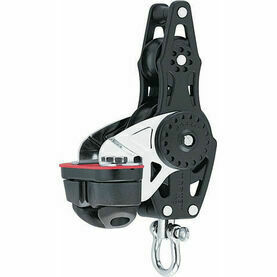 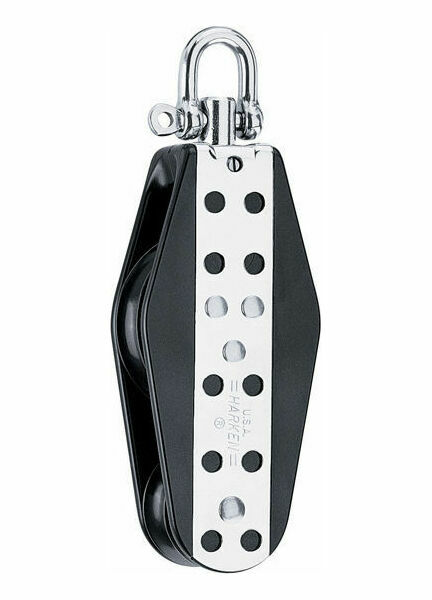 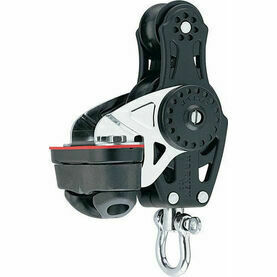 The Harken 76 mm Fiddle Block is the ideal device to handle the high loads of medium and large offshore boats. 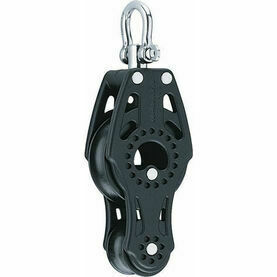 It's timeless look makes it the perfect complement to any traditionally designed vessel. 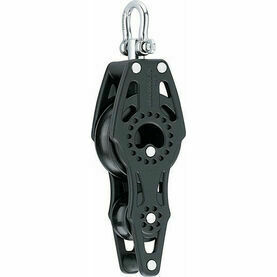 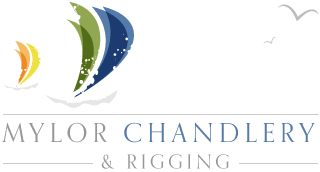 This boat block’s sheave runs exclusively on a ball bearing system, allowing for a fast trim and release under any load. 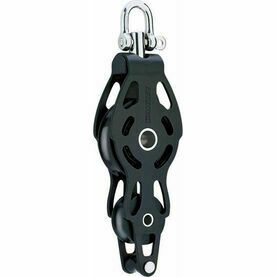 The ball bearings, sheave and sideplates are all UV-stabilized as standard for maximum levels of protection. 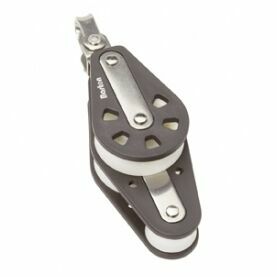 Corrosion-resistant stainless steel straps reinforce blocks.